Creation Museum Going on the Drawing Boards! Appeal Dismissed—Judge’s Ruling in AiG’s Favor now Official! Now that the appeal judge has ruled that the rezoning of land for a Creation Museum was properly conducted by Boone County (Kentucky), AiG is intensifying its efforts to develop a master plan for the site. The scenic property is located near Cincinnati. 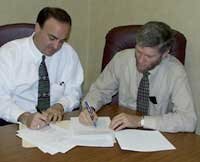 Ken Ham and attorney Tim Theissen share an historic moment on March 6, 2000 by signing the final settlement agreement over the zoning dispute. Ken Ham and attorney Tim Theissen discuss the museum project while looking at the engineering plan for the museum’s property. 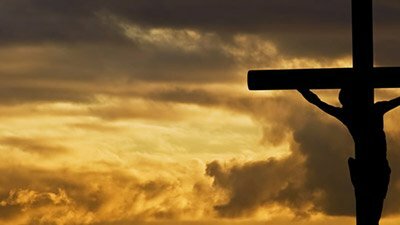 The Creation Museum will be built as donations come in. 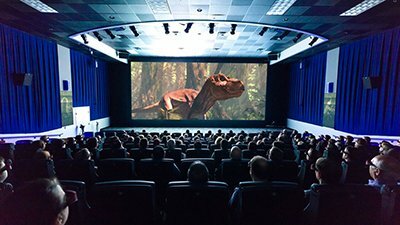 Ham believes that the first phase of the museum (10,000 square feet, with much of it taken up by large dinosaur models and other first-rate exhibits already collected) may be open to the public within two years. Because hundreds of people in the region have already stepped forward to volunteer their services as electricians, plumbers, carpenters, and so on, the two-year time frame is a realistic goal. 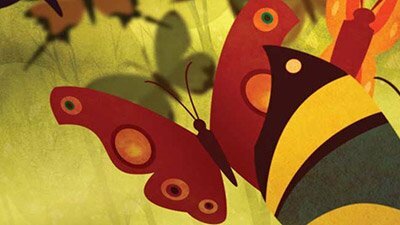 The Creation Museum will present a family-friendly alternative to the evolution-dominated museums around the country. AiG’s collection of exhibits—stored in three large warehouses—is estimated to be worth at least $7 million. When completed, it promises to rival many of the natural history museums in the Midwest. Because of the national and international exposure the project has already received, this museum has the potential to become a major attraction in the Midwest. The property happens to be located within a day’s drive of two-thirds of America’s population. Museum news will be posted regularly at www.AnswersInGenesis.org (over 5,500 visitors a day). Help us build a museum that will proclaim the Bible’s authority and reliability…from the very first verse… to an unbelieving and questioning world!